Imagine yourself as the Road Runner in a Saturday morning cartoon. You are happily whizzing across the desert, racing along that black ribbon of highway. But that cunning Wile E. Coyote is out there somewhere. He is planning to smash you to smithereens! He is also scheming to blast you with his Acme cannon in a very sneaky way. As you run down the highway there are piles of bird seed to peck at. Each pile of seed gives you extra points. But, old Wile E. Coyote is up to his usual tricks... he sets up piles of steel shot. 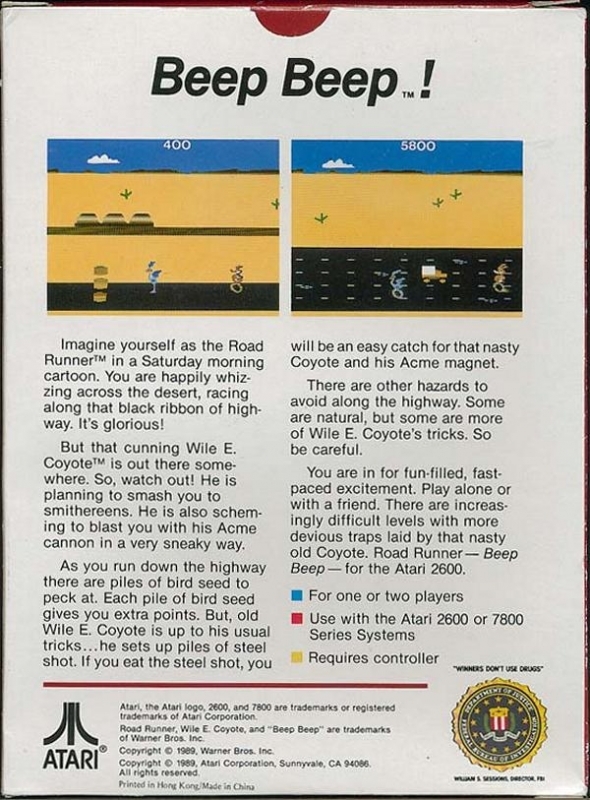 If you eat the steel shot, you will be an easy catch for that nasty coyote and his Acme magnet.